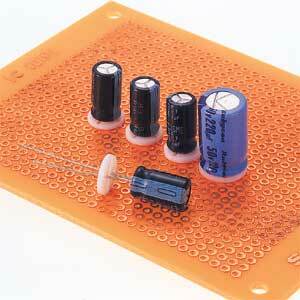 Enables the establishment of a fi xed separation when mounting components such as capacitors to boards. Capacitors using ET spacers have a uniform height without inclination after mounting to the board, thus providing optimal conditions for automatic soldering, etc. ET spacers use fl uororesin materials and therefore exhibit superior heat resistance and chemical resistance.